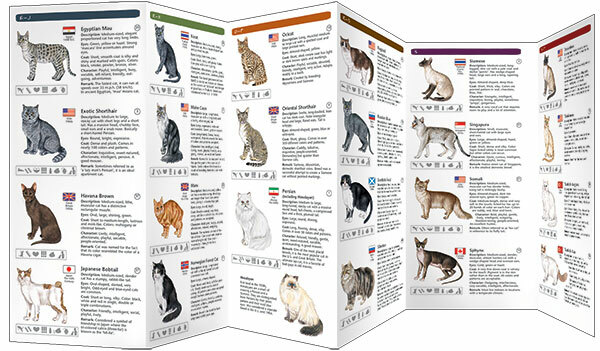 This guide highlights some of the most popular cat breeds recognized by the Cat Fanciers Association (CFA), the world’s largest registry of pedigreed cats. 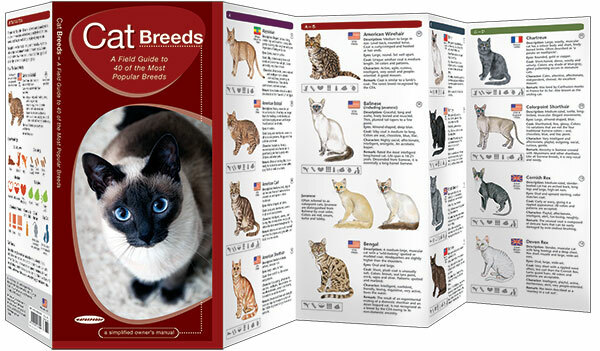 This beautifully illustrated guide includes detailed descriptions of 40 of the most popular breeds, the breed origin, key physical characteristics, personality/character traits, activity level, grooming requirements, how they get along with people and other cats and if they are good mousers. Laminated for durability, this lightweight, pocket-sized folding guide is an excellent source of portable information. Made in the USA.